its easy connect with frds ...if u hv this acc.. Ya. i think today most of the young girls and boys have theri account in orkut. it is the best way to track old friends and be in contact with them. I myself have found my school friends on orkut and am really happy to chat with them. 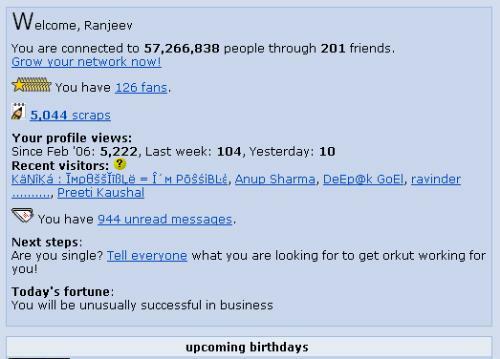 can you send your friends this special orkut proxy? www.proxyex.net works for orkut. Don't have one but maybe in the future, maybe yes i will have the account.